Jamie Burns made the winning touchdown last month in the School of Health Profession’s second annual Interprofessional Bowl, but she said relaxing with students from other programs was the real prize. “It’s a way to get out and actually see people who are in the other School of Health Professions programs as well,” the second-year Physical Therapy student said of the Nov. 5 event. 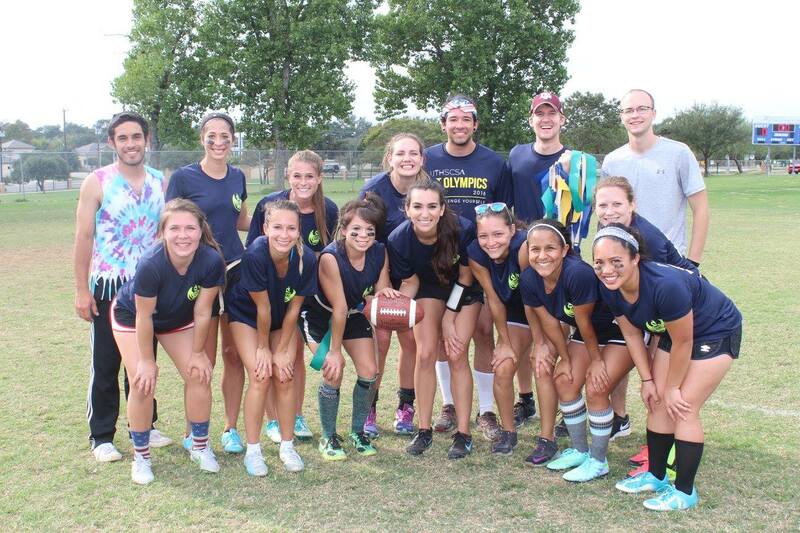 Competing in the series of flag football games were seven teams of female students from the Physical Therapy, Occupational Therapy, Respiratory Care and Clinical Laboratory Science programs, as well as the Long School of Medicine. Male students coached and performed a half-time cheerleading show. Burns’ second-year PT team played a team from the Long School of Medicine in the final. The goal of the bowl is to promote fellowship among the school’s programs, said Dr. David Henzi, associate dean of academic and student affairs for the School of Health Professions.